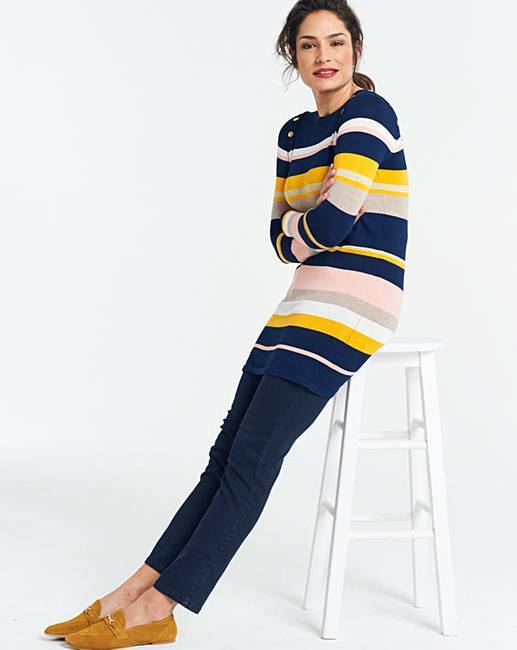 This flattering jumper is the perfect addition to your wardrobe. 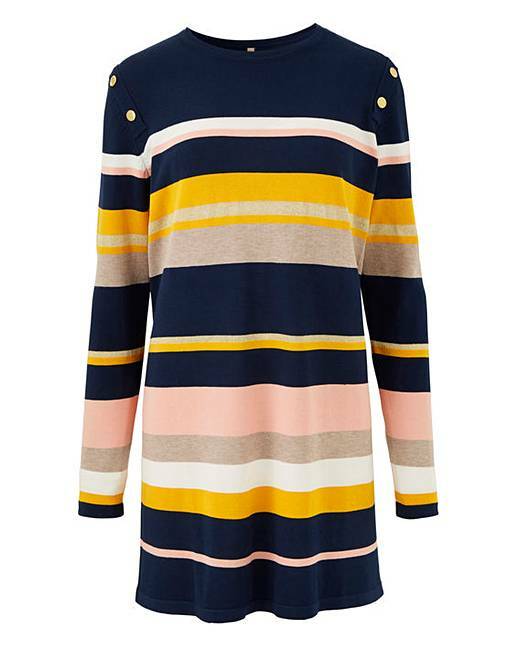 In a longer tunic length, this style is both versatile and flattering. 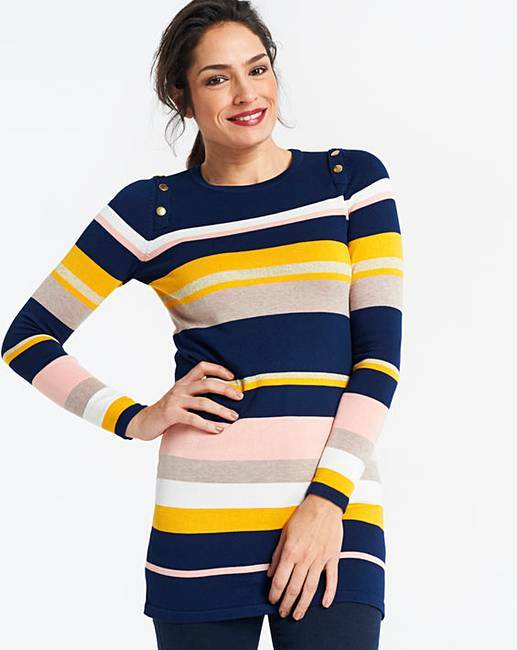 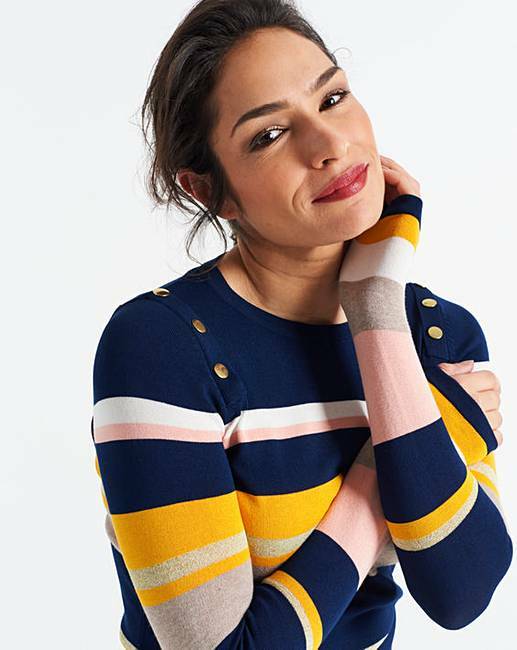 Featuring gorgeous multi-coloured stripes with metallic yarn, long sleeves and popper detail to the shoulders.